Not put off by our slightly rainy camping experience last week at the Hay Festival I've finally bought tickets to The End of The Road festival 2009 in Dorset, England taking place during the second weekend of September. 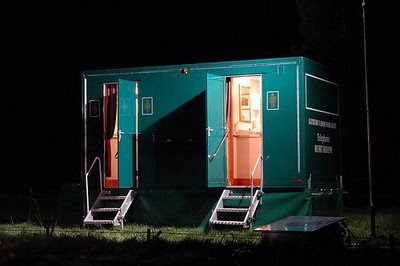 I think I've already written a few times on this blog about my fear of festival toilets which is usually what stops me from going to ANY music festivals anymore (I wonder if this condition is documented?) but this year I've decided to put past experiences properly behind me and I'm just praying The End of the Road organisers don't provide End of the Road style toilets (if you know what I mean). I would actually pay a lot extra to have my own toilet. Must be getting old.